Naturally gluten free pasta shapes for kids with a farm animal theme. The pasta is made from sun ripened corn and rice, providing a delicious and nutritious alternative to wheat pasta. The Orgran Rice & Corn Animal Pasta Shapes - 200g product ethics are indicated below. To learn more about these product ethics and to see related products, follow the links below. 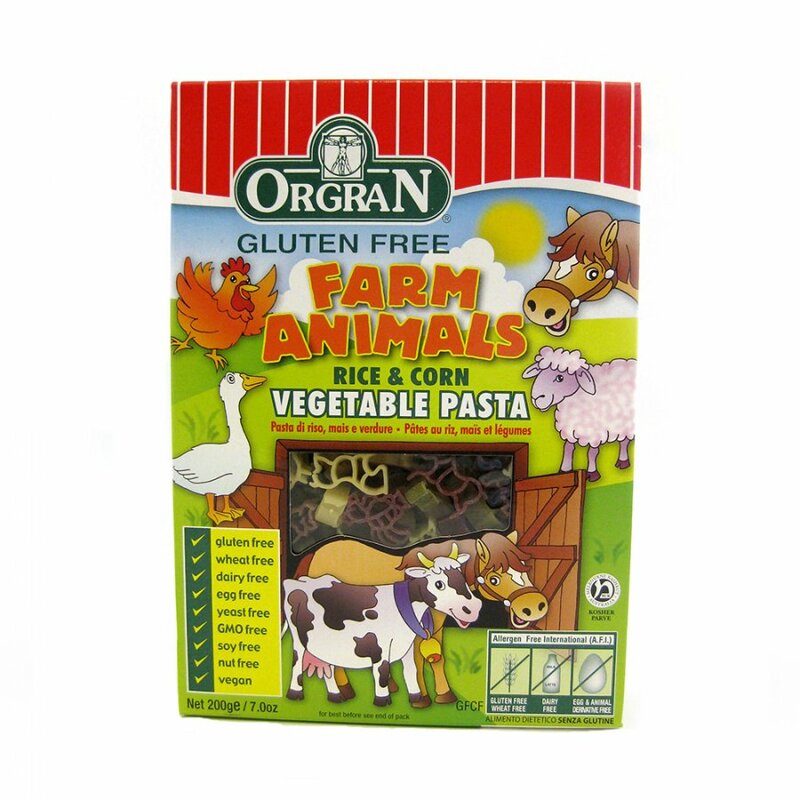 There are currently no questions to display about Orgran Rice & Corn Animal Pasta Shapes - 200g.